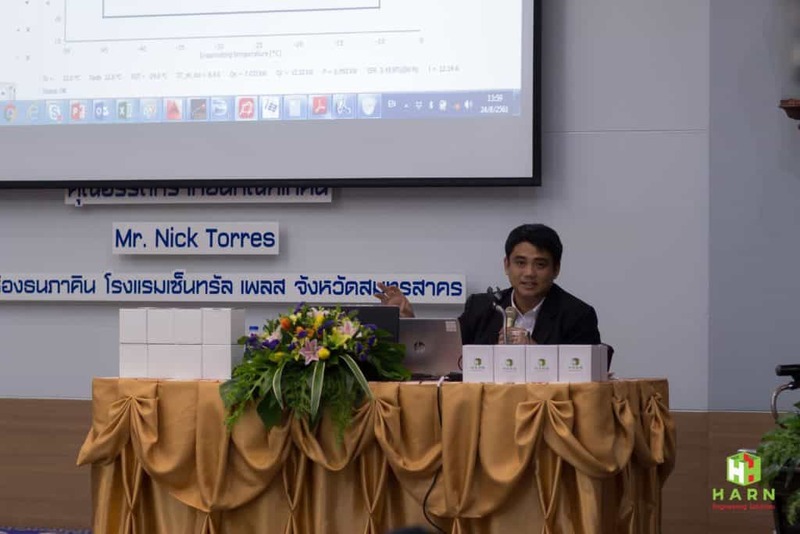 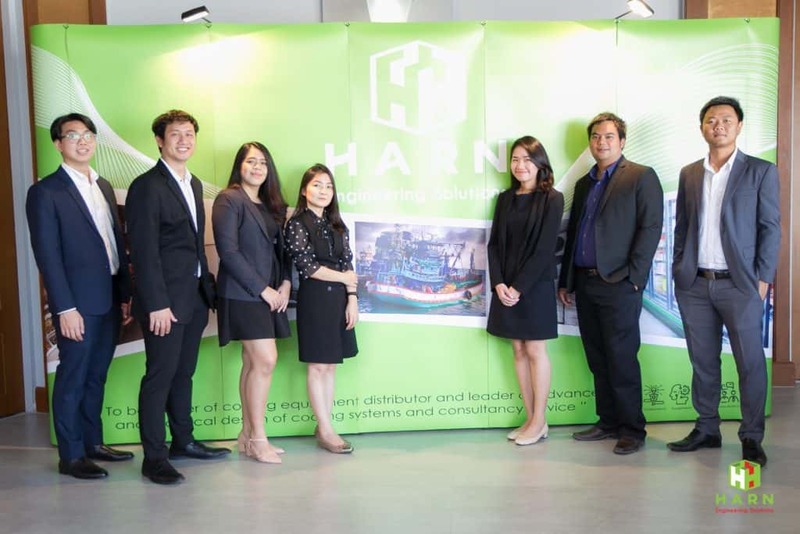 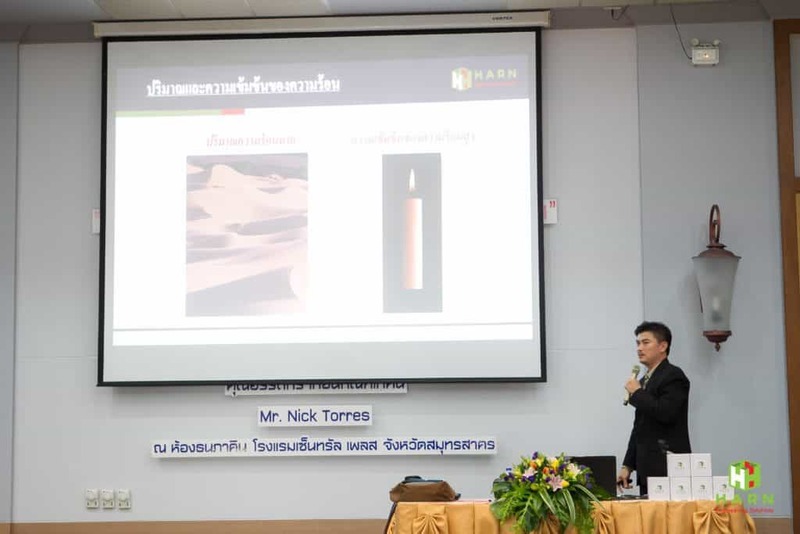 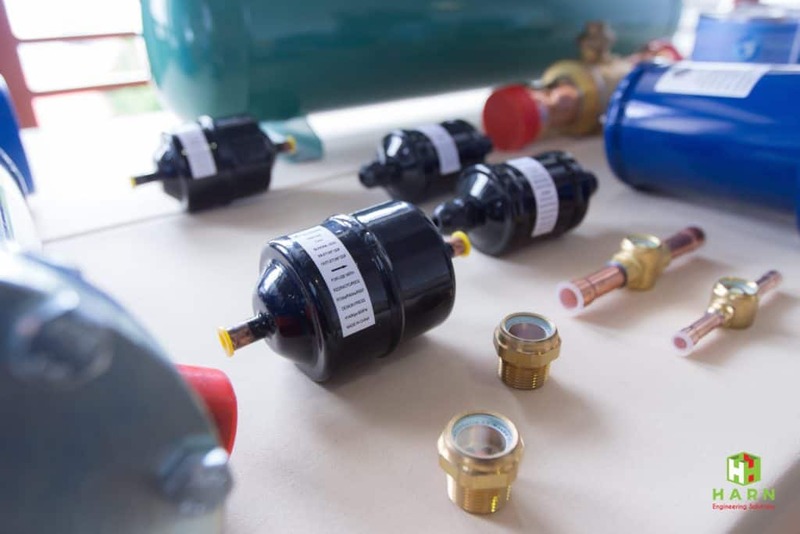 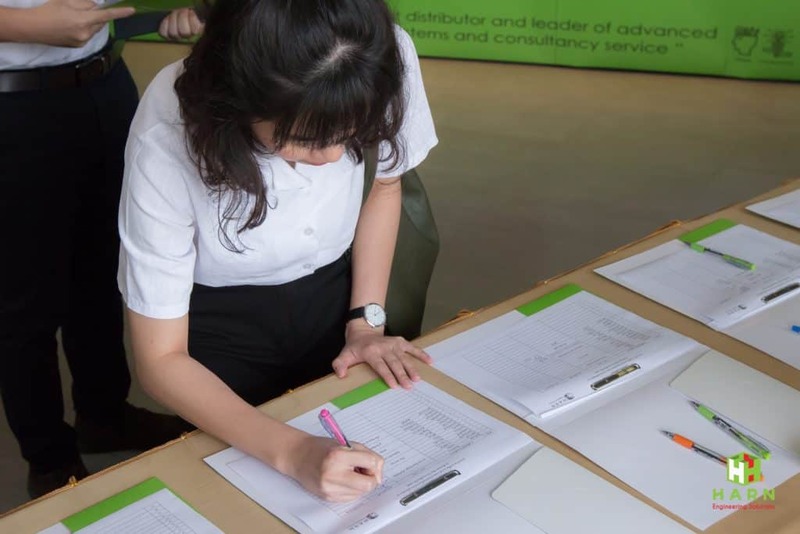 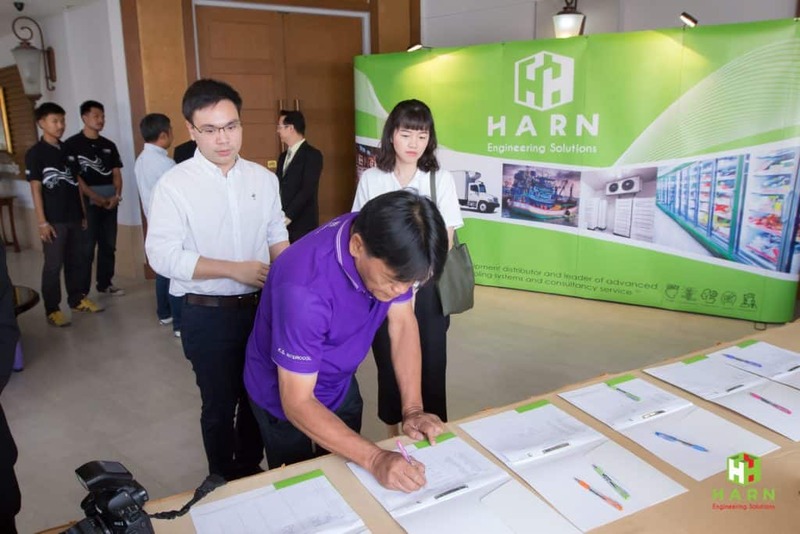 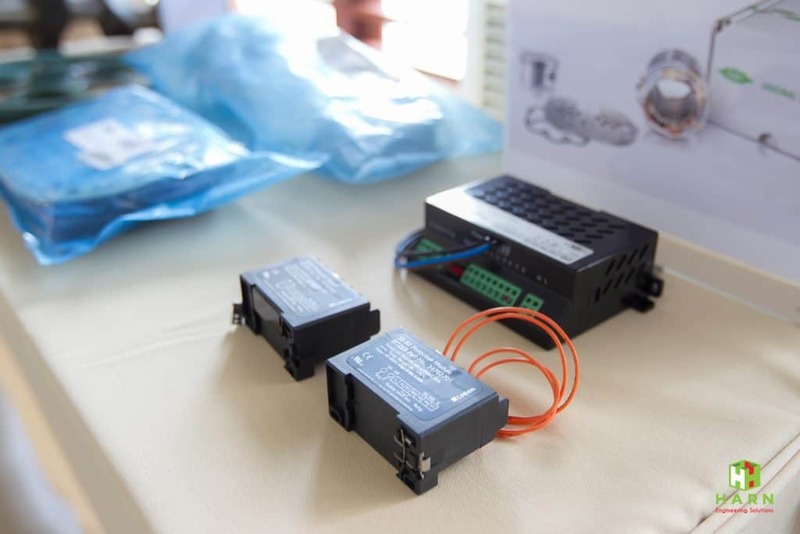 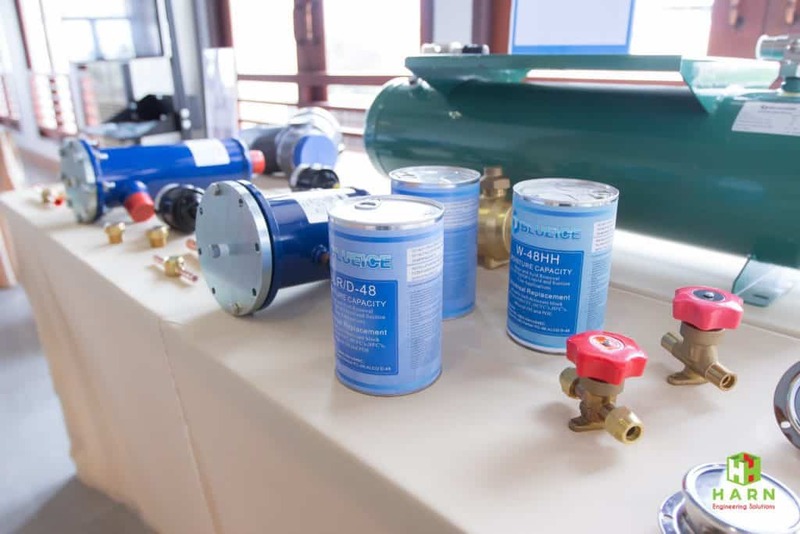 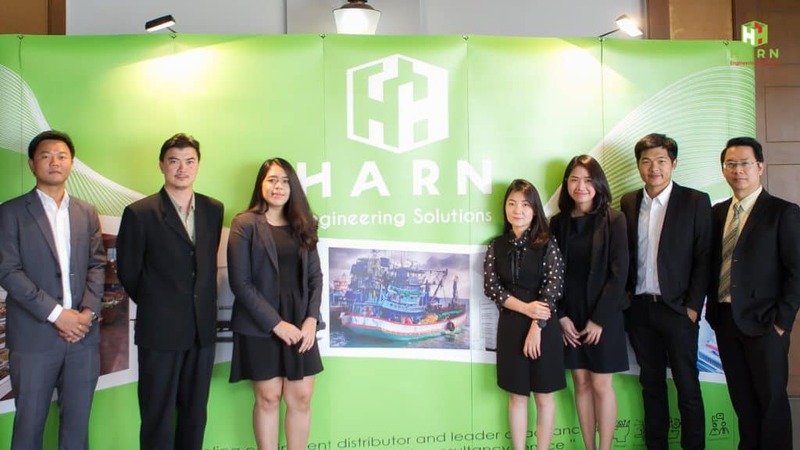 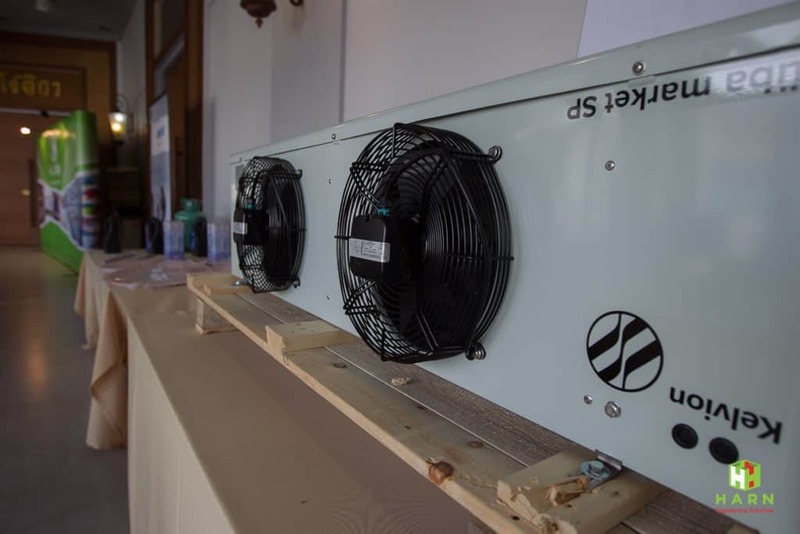 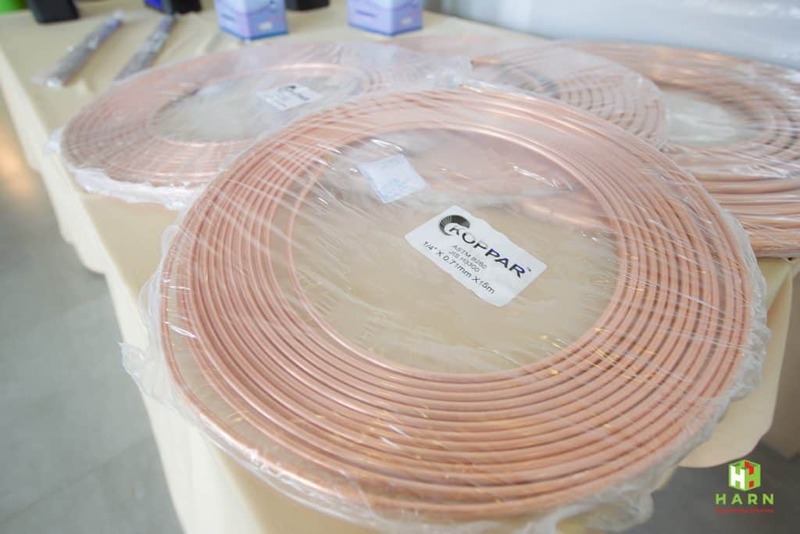 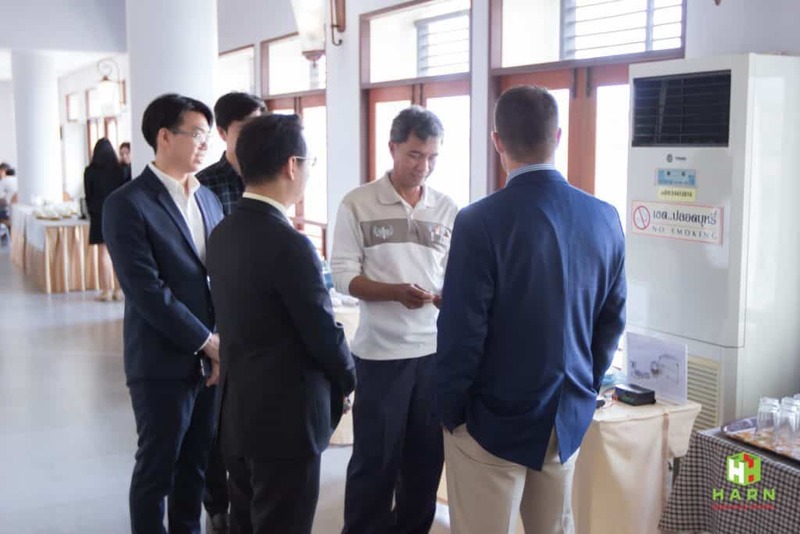 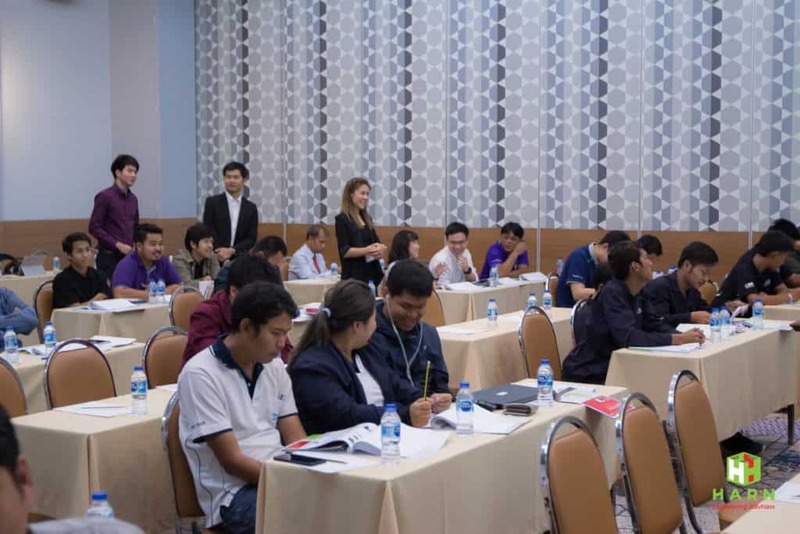 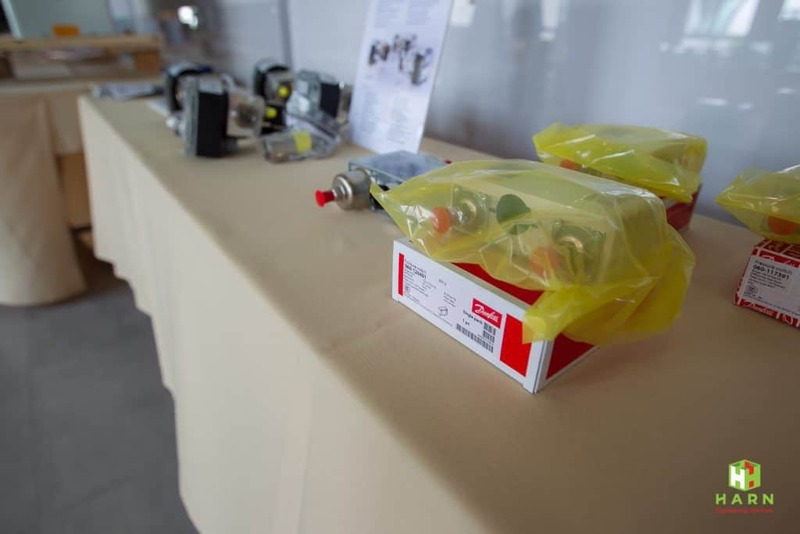 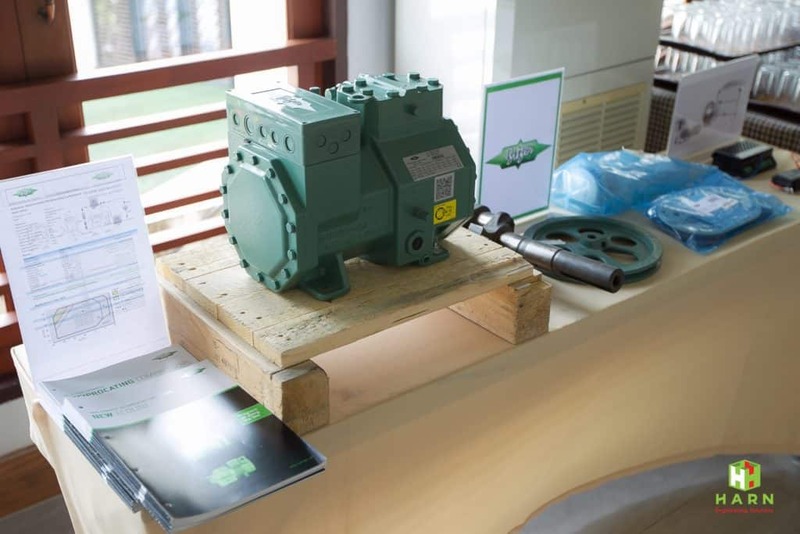 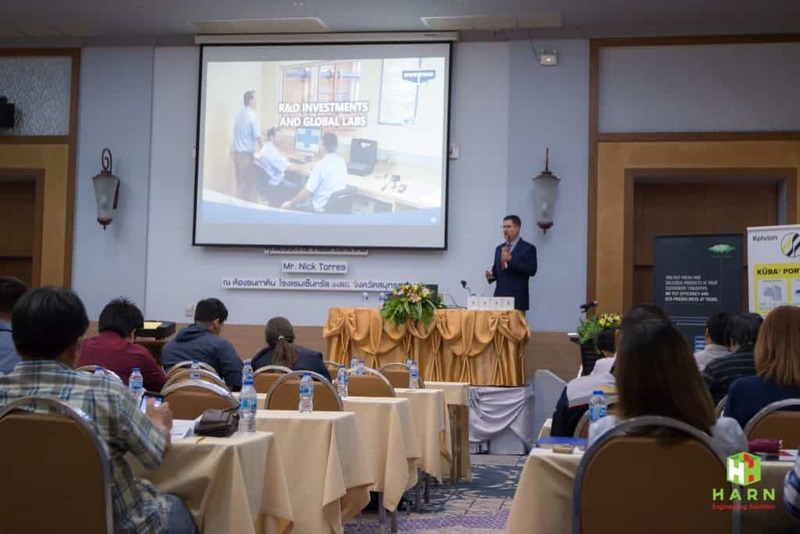 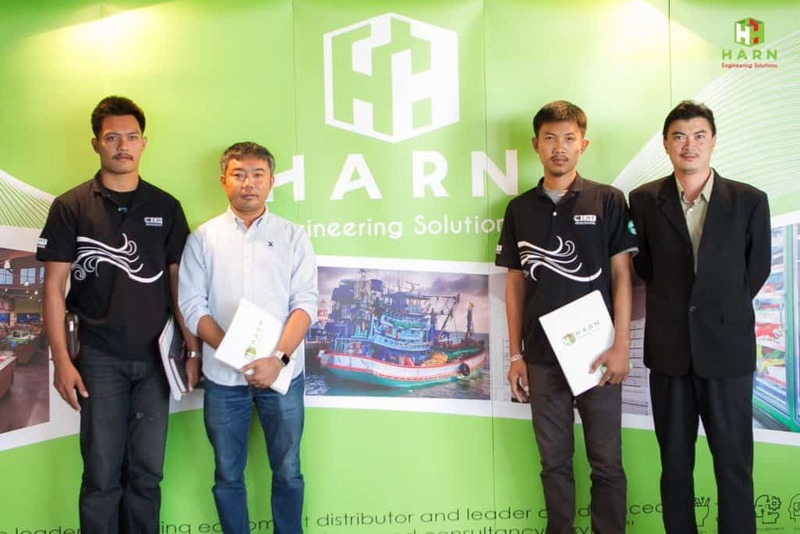 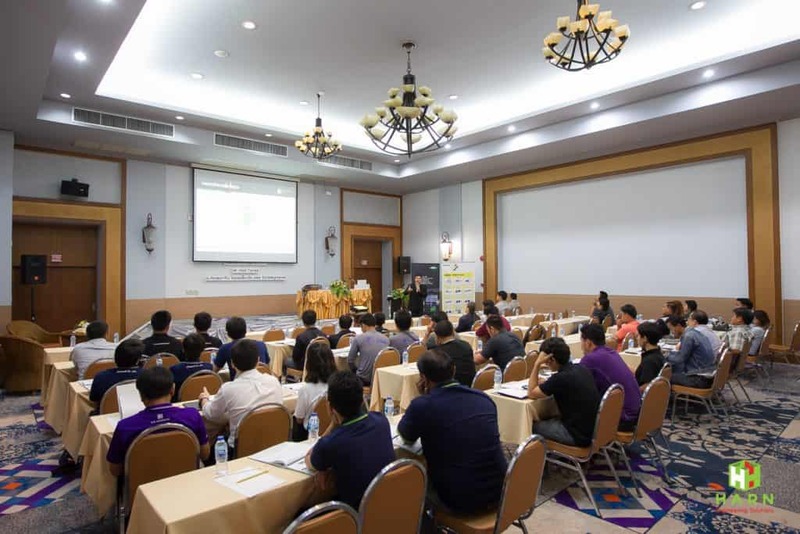 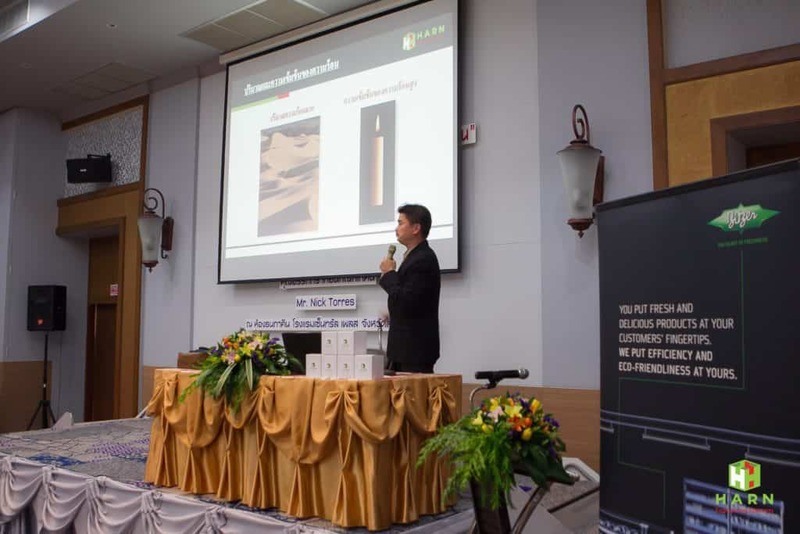 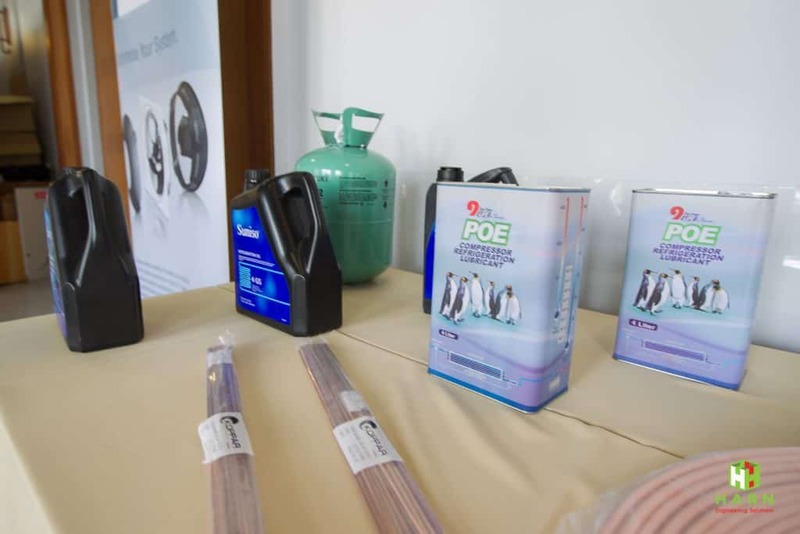 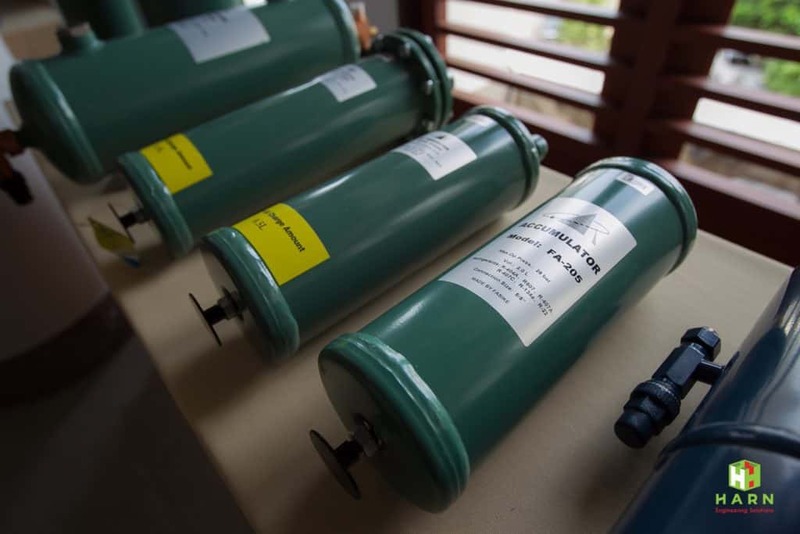 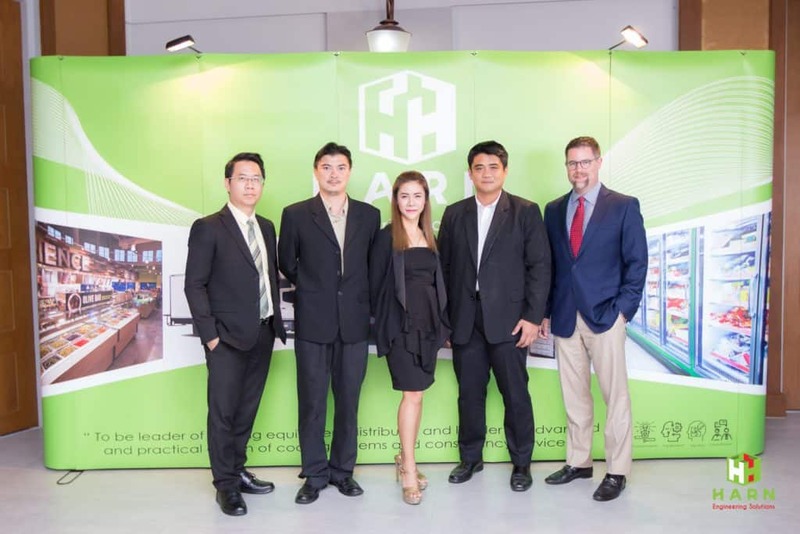 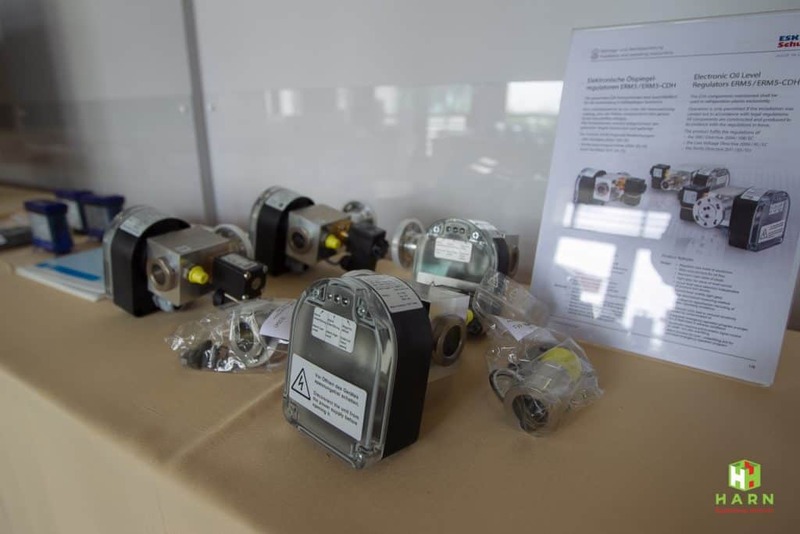 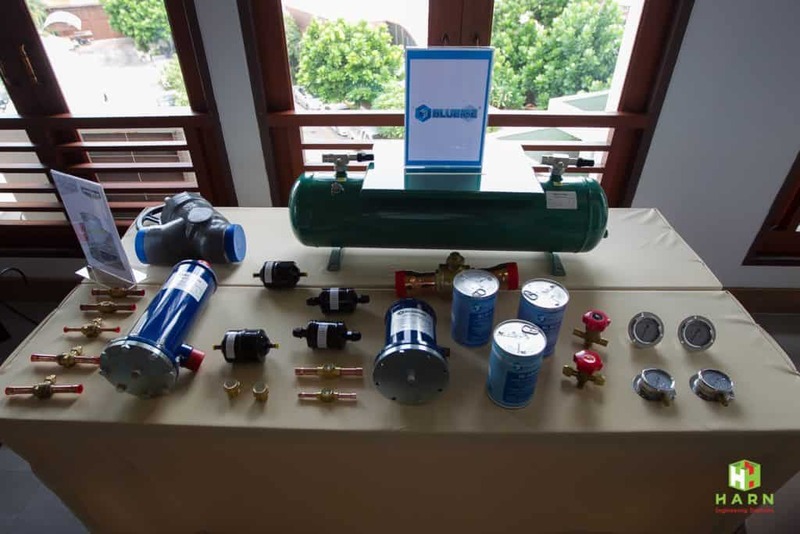 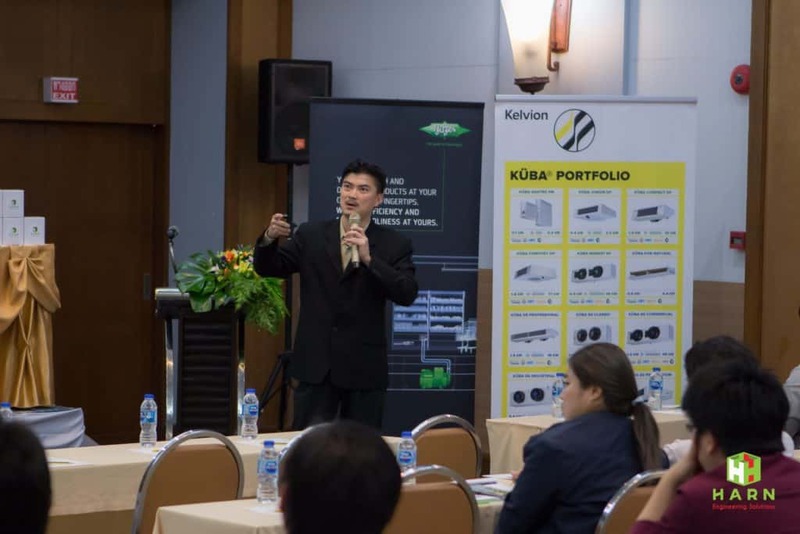 Pictures from the seminar “Refrigeration System: Directions and Innovation in Energy Savings” organized by Refrigeration System, Harn Engineering Solutions Public Company Limited to exchange knowledge and experience to clients and those interested in cooling business solutions on Friday 24 August 2018 at Thanaphakin Conference Room, Central Place Hotel, Samut Sakhon. 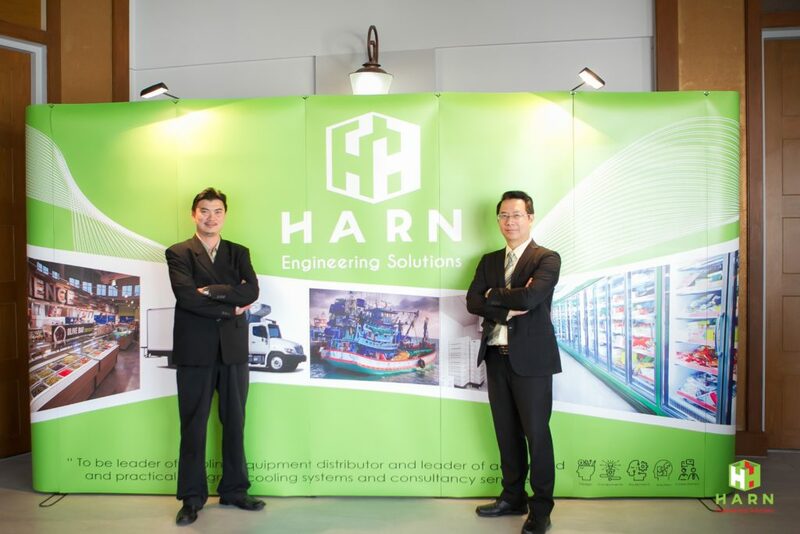 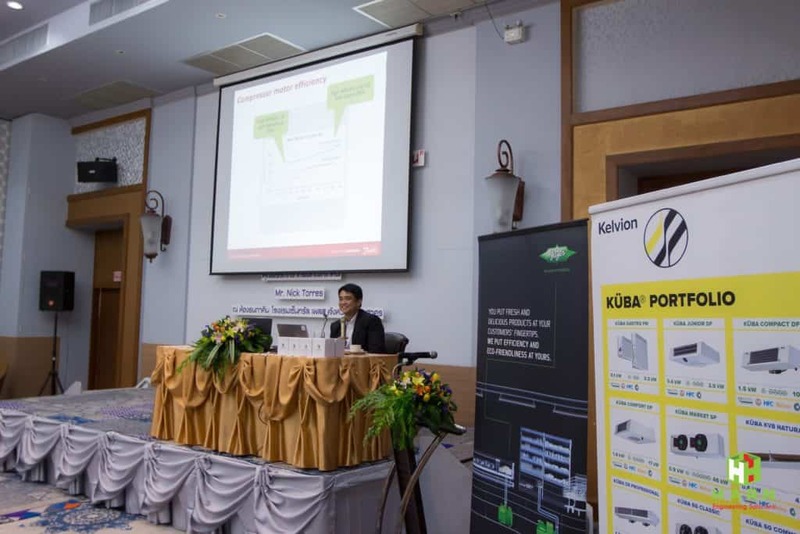 Led by Dr. Sukit Litikorn, Support Director of Refrigeration System, Harn Engineering Solutions Public Company Limited, together with Mr. Nuntawat Jirakom, Sales Director and team participated in this event to share knowledge in coupled with Danfoss (Thailand) Limited and EVAPCO (Shanghai) Refrigeration Equipment Co., Ltd. 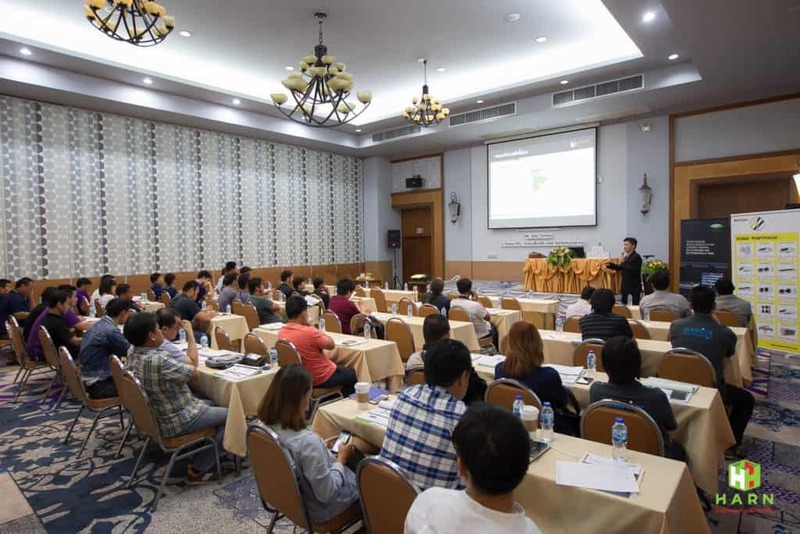 Many shown interested and attended the event.